As with any industry, there are skeptics of private jet charters. That’s to be expected, so we’ve put together a list of sales pitches to help these people change their minds. Although, with that being said, not everyone will come over to your way of thinking. Keeping an open mind and responding with respect and class speaks measures about you as a person. 1. Air travel on another level: Airplanes are all about speed. Not only do you get to your location faster than alternative methods, but there’s a certain freedom in it. Flying privately brings this to a whole new level. You get to choose where and when you want to go, and you don’t have to worry about some of the peskier issues surrounding commercial travel. 2. Enhanced first class: Some people tell themselves that if they must travel by air, it has to be first class. In this case, these people should try out a private jet charter. The expanded space and convenience makes first class a thing of the past. 3. Hype happens for a reason: The idea that not all that glitters is gold is true. But, that doesn’t mean that there isn’t value to be found. The same goes for private jet charter travel. If you insist that there is simply too much hype surrounding it, you can still understand that hype happens for a reason. 4. Roll with the rich and the famous: If you are onboard a private jet charter, or involved in the business, you are likely to meet some of the world’s richest and most famous figures. 5. Unmatched luxury and comfort: Private jet charters take luxury and comfort to a whole new level. Take a quick look around and you’ll be absolutely stunned by some private jet interiors. 6. Exquisite cuisine: The food on board a private jet charter business is truly something to be experienced. For many, this is the only motivation needed for choosing private air travel! 7. No flight cancellations: When flying a private jet charter, you can say goodbye to the headache of rescheduled or cancelled flights! Be sure to lock away some of these sales pitches! 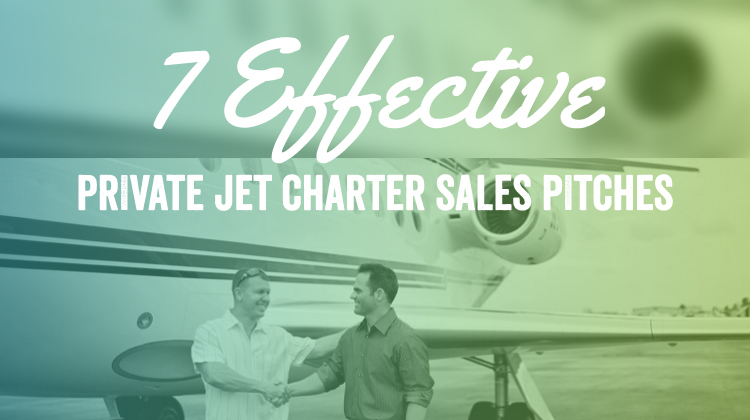 You can never be quite sure when you might find yourself giving a sales presentation about the private jet charter business (or find yourself in a conversation discussing the merits).